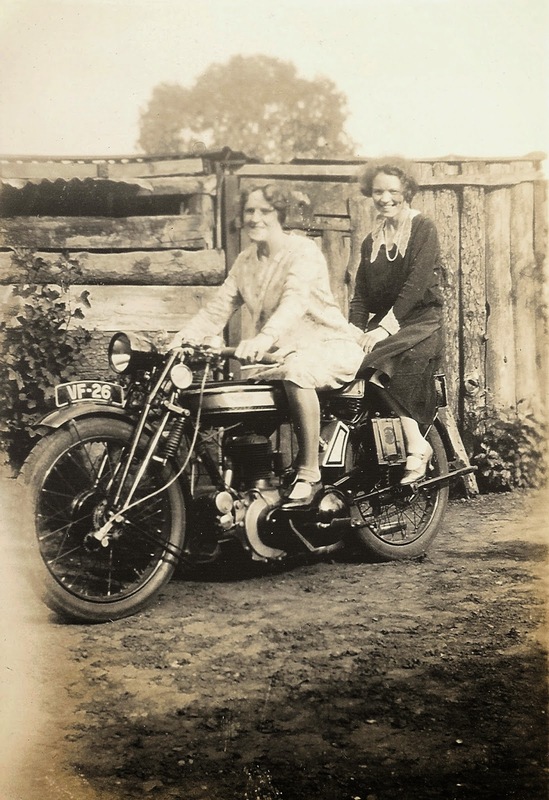 -Contributed by Lex- Two ladies on a brand new 1927 Model 16H Norton. Martin pointed out that the 'VF series' registrations were first issued in February 1927 and with such a low number this should be a 1927 motorcycle. However, the steering damper is fitted to the frame using a bolt, not a clip, which is supposed to have been introduced late in 1927 and be typical for the 1928 models. Not that it matters much but this 16H should be described as a 1927/28 Norton.